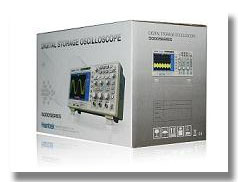 2 Channel Digital Oscilloscope. 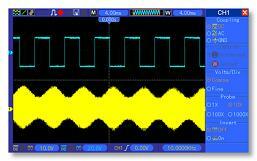 1 Channel Arbitrary/Function Waveform Generator. 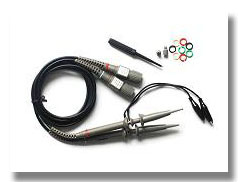 The Keys for osilloscope and waveform generator is seperated for convenient to operate it simultaneously. Oscilloscope: 200/100/70MHz Bandwidth, 1GSa/s Sample Rate. 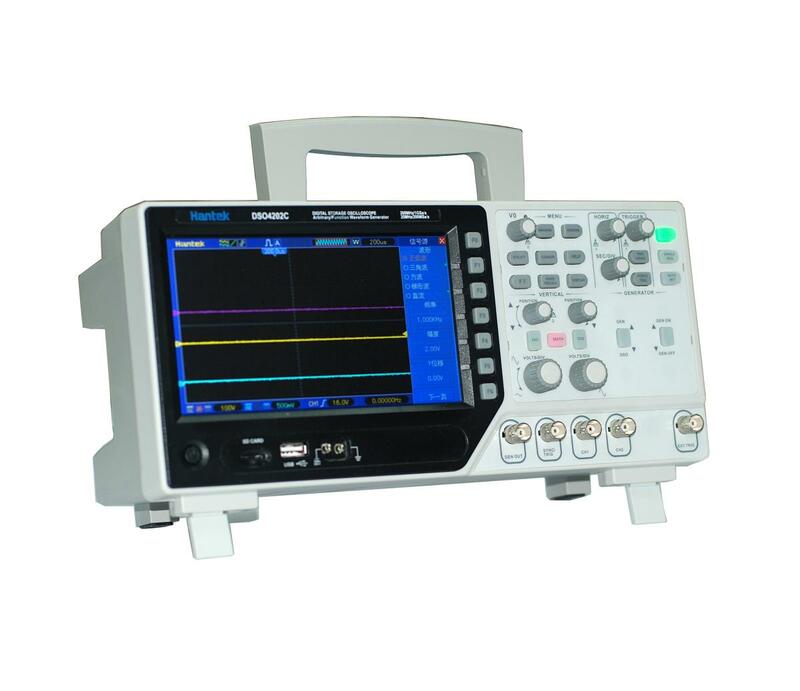 25MHz Arbitrary waveform generator, 12 bits resolution, 200MHz DDS, 7 inch 64K color LCD display, Resolution 800x480. Arbitrary/Function Waveform Generator: 25MHz, 12 bits resolution, 200MHz DDS, Arbitrary wave/square wave/sine wave/triangle wave/trapezoidal wave/pulse wave/DC is easy to simulate transducer. 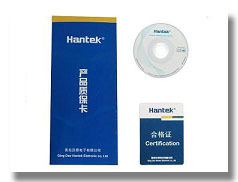 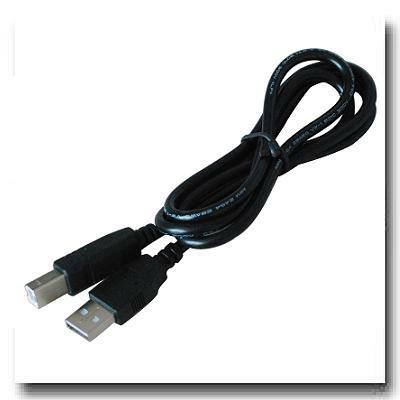 Integrated USB Host, Support USB disk storage, USB interface/SD card system update. 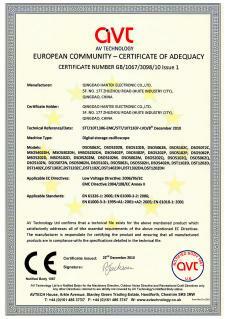 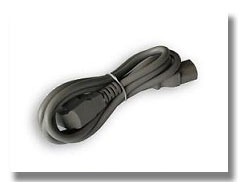 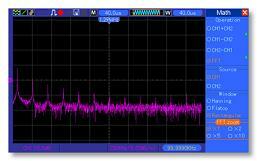 Installation Category II: derate at 20dB/decade above 100kHz to 13V peak AC at 3MHz* and above. 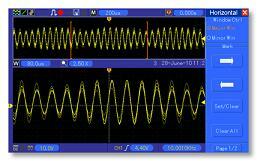 For non-sinusoidal waveforms, peak value must be less than 450V. 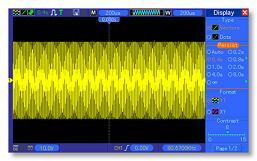 Excursion above 300V should be of less than 100ms duration. 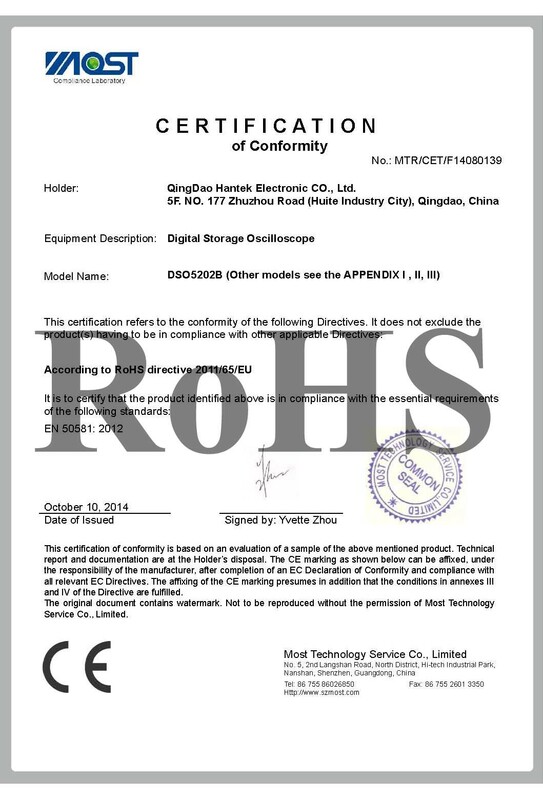 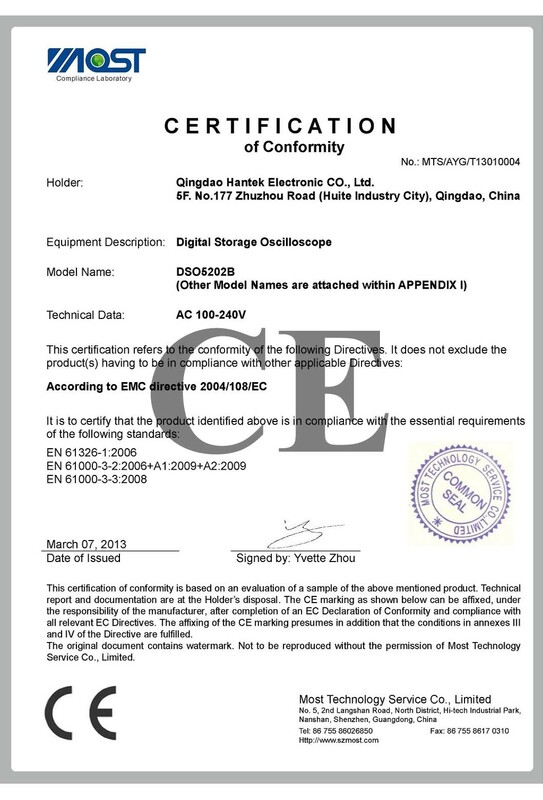 RMS signal level including all DC components removed through AC coupling must be limited to 300V. 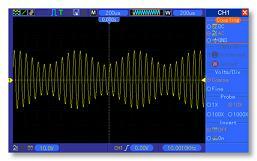 If these values are exceeded, damage to the oscilloscope may occur. 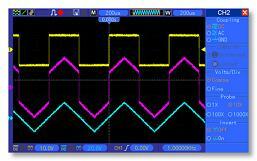 Pulse Width Trigger Point Equal: The oscilloscope triggers when the trailing edge of the pulse crosses the trigger level. 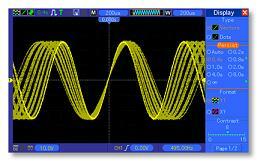 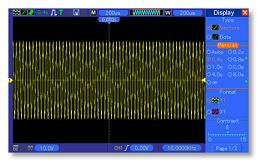 Slope Trigger Point Equal: The oscilloscope triggers when the waveform slope is equal to the set slope.